Hello again! Just a quick comparison of a couple of polishes that I have for you today! 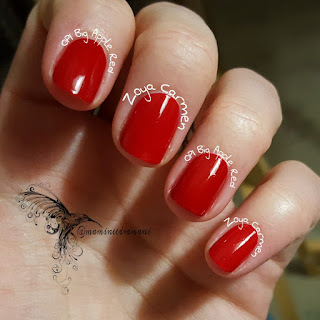 I was working on my "Favorite Sport or Hobby" mani, and I noticed that Zoya Carmen looked a LOT like OPI Big Apple Red. Bottle comparison shot. Indoors on top, full sun on bottom. See how similar they look?! Now, a little back story that's completely irrelevant to the post (but fun, nonetheless!). 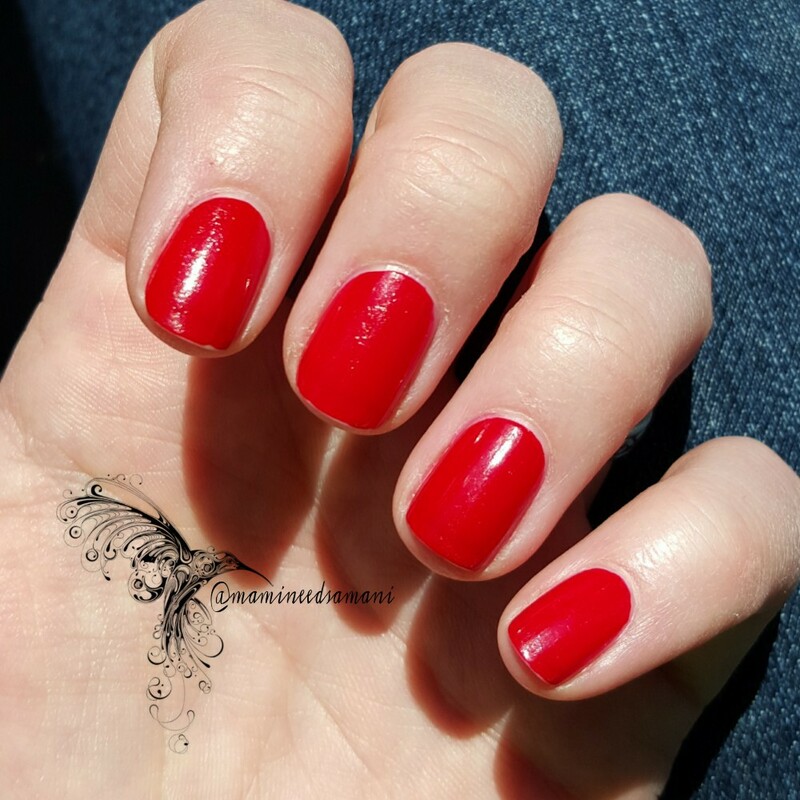 OPI Big Apple Red is one of two polishes I received from a fellow March 2010 mom in a Christmas gift exchange a couple of years ago. It was shortly after that, that I found the message board that threw me head first down into the colorful abyss! Now look at me...ok, well, don't...lol!! Two coats each, indoors, no top coat. 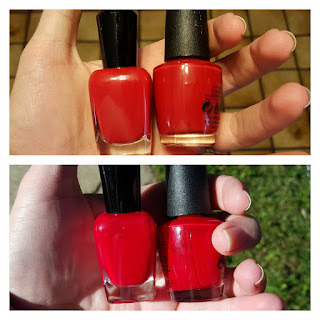 Two coats each, outdoors, no top coat (sorry for the sheet marks and tip wear!). I think that adding a third coat of Zoya Carmen might make these two darn near indistinguishable. What do you think? Both great reds and I can't really tell them apart!